When you want to celebrate a special occasion, you have many options. A Menchie's custom frozen yogurt cake is a unique way to put on a smile on anyone’s face. Whether it’s a birthday party, a wedding anniversary, or a special occasion that’s uniquely yours, we can customize and decorate a frozen yogurt cake that is perfect for you. We can customize your frozen yogurt cake with your kid’s favorite characters like Peppa Pig, characters from Paw Patrol, sports teams, and dozens of other favorites. 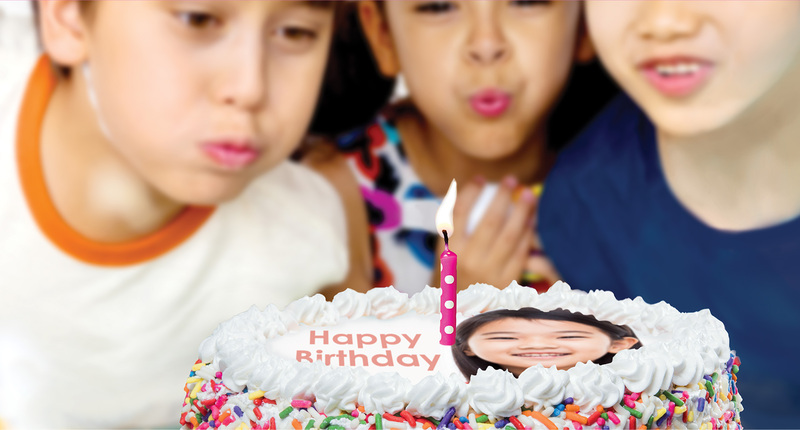 We can also customize a Menchie’s frozen yogurt cake with any photo or image you create to make your special occasion a truly unique treat. You’ve tried a bakery before and you’ve seen ice cream cakes, now you can get a Menchie’s custom frozen yogurt cake made just for you. That is something to smile about.